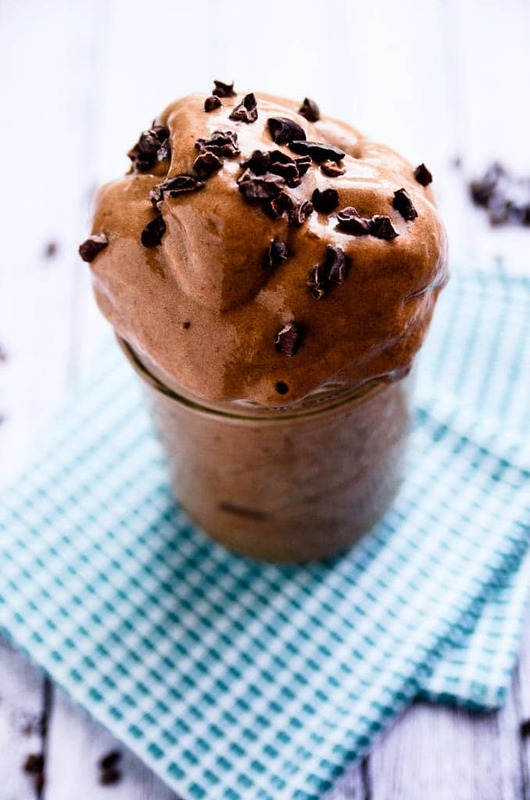 This vegan chocolate malt superfood smoothie is packed with antioxidants, vitamins + minerals, and it tastes like dessert.With just frozen bananas, maca powder, cacao, dates, and vanilla extract, you’ll end up with an incredibly nourishing and satisfying smoothie. 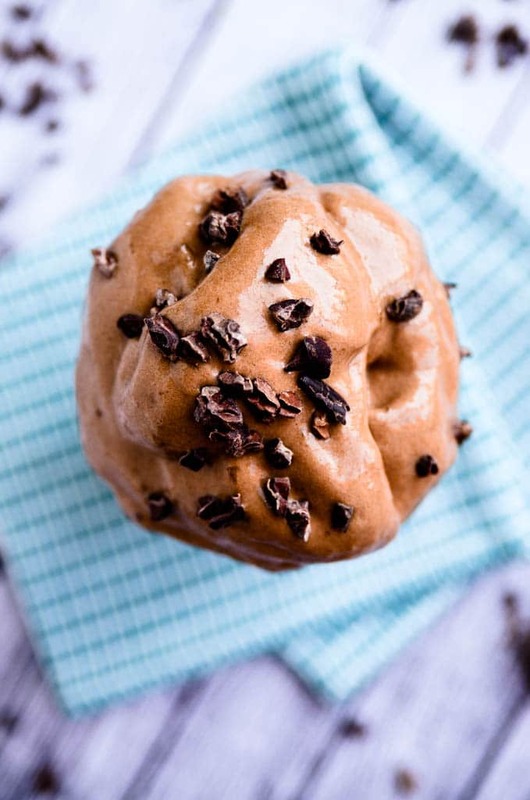 Thick, creamy, chocolaty, and malted in flavor, it’s the best thing to happen to my morning breakfast routine in quite some time. I’m sorry for my delay in getting this post up this morning! I woke up energized and ready to clack away on my keyboard on this first day of summer break only to hear a loud *pop* followed by the sound of every electronic device powering down in our condo. After a quick survey, it became clear that the power was blown out in our entire building and much of our block, so I’m writing this post from the comforts of my favorite neighborhood coffee shop. As ridiculous as it might sound, I used to avoid going to coffee shops by myself, and I also used to fear leaving the house without makeup. As part of my summer plan, I’m doing 1-2 things I fear each week, so today’s no-power adventure fits into this theme quite well. I’m currently sitting by myself at a coffee shop, make-up free and hair a total mess (no power = no blow dryer), and I’m at peace with it. Erasing fears one stray hair at a time. 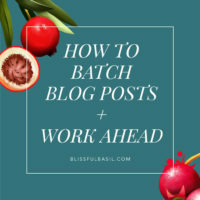 Last week’s fear-squashing event: attending a blogger cocktail party by myself. In the days leading up to the event, I was terrified and had about a million “what if” scenarios running through my head. 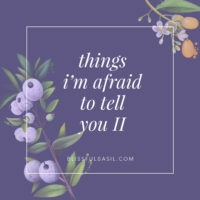 I almost talked myself out of going, but ultimately realized that it was easier to just do it go and face my fears than deal with the “should haves” and regrets had I not gone. So I went. And nearly left within about 5 minutes of arriving because everyone seemed to know everyone else, and I had flashbacks to being the new girl at school. 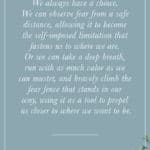 However, I swallowed my fear, peeled myself away from the wall, and inserted myself into a conversation between two other bloggers. After that initial conversation, the rest just seemed to flow, and I ended up meeting a lot of wonderful women and stayed until the end of the event. 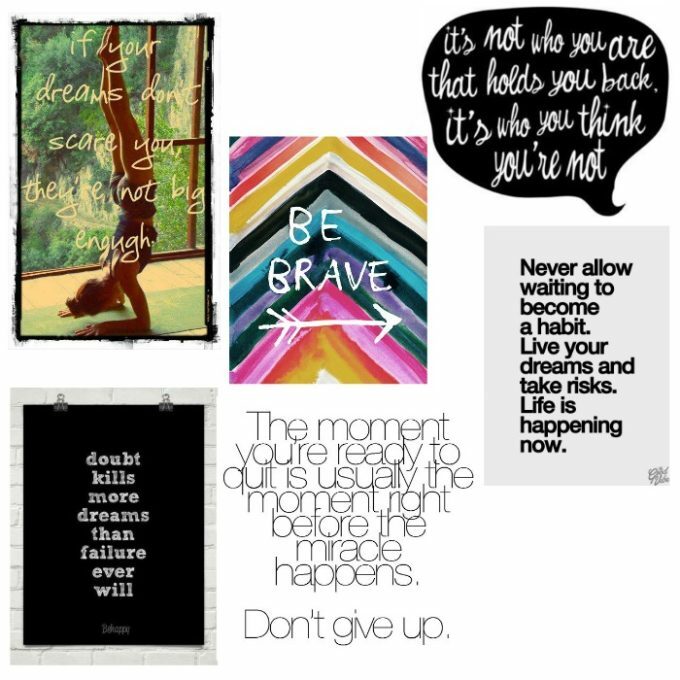 From fear to smoothies and back again. This smoothie recipe is packed with antioxidants, vitamins + minerals, and it tastes like dessert. Thick, creamy, chocolaty, and malted in flavor, it’s the best thing to happen to my morning breakfast routine in quite some time. I talked about the health benefits of maca powder in this post, and I’ve teetered between love + obsession for the superfood root powder ever since. 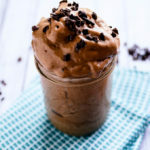 It’s my favorite smoothie add-in because of the awesome burst of energy it provides and the way it cocoons other ingredients in its delicious malt flavor. Throw a bit of raw cacao or cocoa powder into the mix, and you’ve paved the way for a chocolate malt. 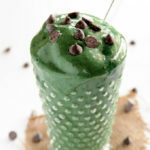 Who doesn’t want a superfood chocolate malt? To keep this smoothie incredibly thick and shake-like, the mixture is blended in a food processor with just enough water to get it churning. 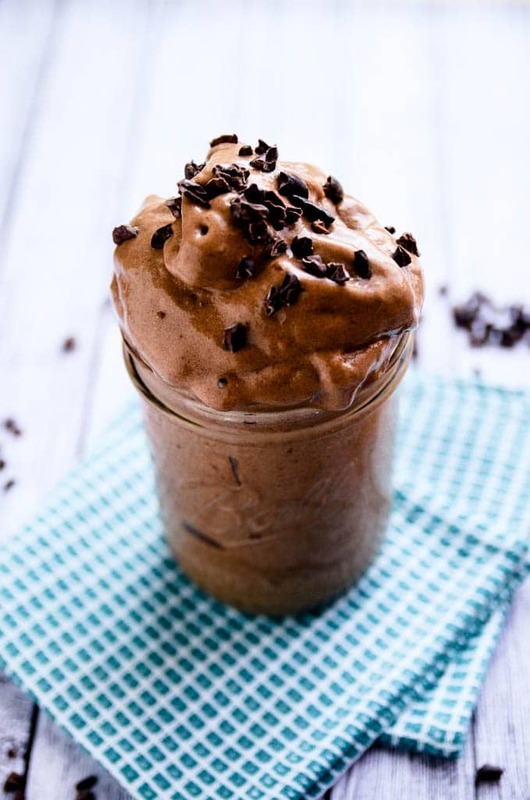 With just frozen bananas, maca powder, cacao, dates, and vanilla extract, you’ll end up with an incredibly nourishing and satisfying smoothie. In addition to the nutritional perks of the maca, raw cacao also boasts a hefty number of health benefits thanks to its flavonoid antioxidants (e.g., cancer prevention, improved circulation, reduced LDL, etc). 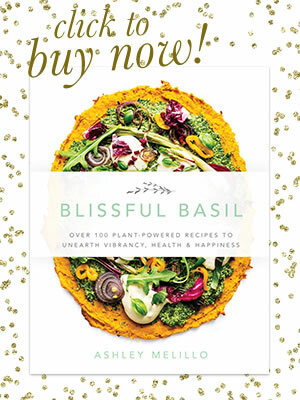 A meal that nourishes cravings and health? I’ll take it. 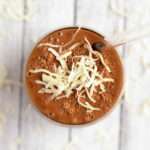 You can make this smoothie for breakfast as an energizing start to your day or for dessert as a health-enhancing treat. 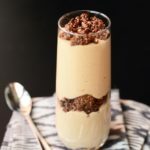 You really can’t go wrong with this one, and it’s so easy to toss together that there’s no reason you shouldn’t be enjoying this breakfast in dessert’s clothes on the regular. 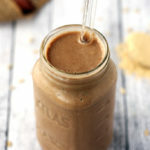 This vegan chocolate malt superfood smoothie is packed with antioxidants, vitamins + minerals, and it tastes like dessert.With just frozen bananas, maca powder, cacao, dates, and vanilla extract, you'll end up with an incredibly nourishing and satisfying smoothie. 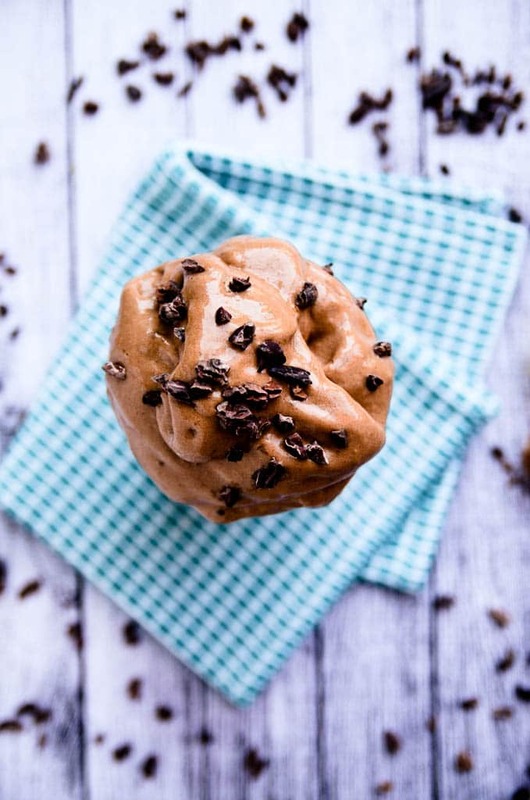 Thick, creamy, chocolaty, and malted in flavor, it's the best thing to happen to my morning breakfast routine in quite some time. 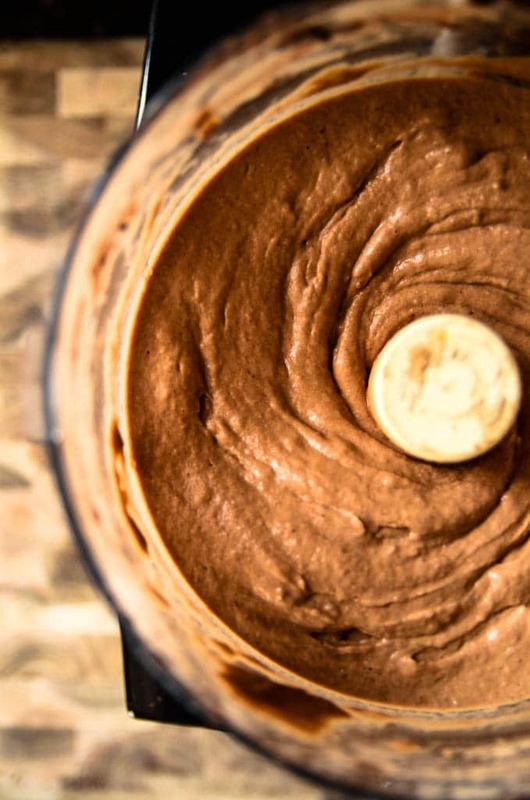 Add the frozen bananas, maca powder, cacao powder, date, and vanilla extract to a food processor. Begin processing and add in 1 tablespoon of water at a time to get everything moving. You want to keep the mixture as thick as possible, so be patient as the small amounts of water encourage the mixture to process. Process until a thick and smooth mixture forms. Scoop the mixture into a glass and pile it high. Top with cocoa nibs, if desired. This is a perfect treat for today! Oh Yuuum. I am HOPELESSLY addicted to your chocolate covered strawberry smoothie these days…maybe I can break the addiction to try this(?)…maybe. The thickness of this smoothie is unbelieveable! I literally want to throw my hand at the screen and grab it. 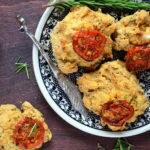 Awesome recipe, love it! I love this comment! It’s for sure the thickest smoothie I’ve ever made; definitely a spoon and straw kind of thing. Use only a straw at your own risk :) Thanks for commenting, Karen! I’ve never had maca powder before.. but I just ordered some off Amazon because of your description. Sounds amazing! 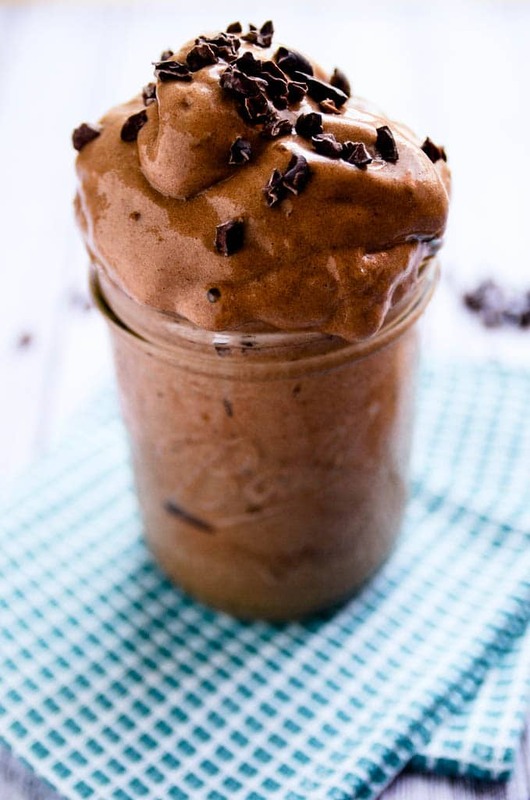 I love super thick smoothies– great idea to just process it! Thanks for commenting, Michelle! 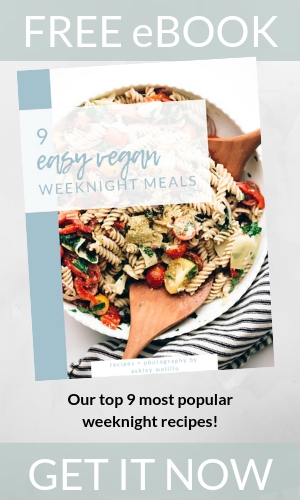 I’m so glad you’re giving maca a try! It’s my absolute favorite in pretty much any smoothie, but especially this one or a simple banana/almond milk smoothie. It adds such a rich flavor and is so energizing. I hope you love it! I’d love to make this recipe, it sound and looks amazing. I was wondering why the food processor and not a high speed blender? Hi Elyna! If you have a very high-speed blender (e.g., Vitamix or Blendtec), then a blender will work. The reason I use a food processor is because so many blenders aren’t powerful enough to blend frozen bananas without adding a lot of liquid. The food processor guarantees that the result is extra thick and creamy. I hope you have the chance to make this smoothie! Would this work in a Nutra Bullet? Thanks so much, Lyndsay! Hope you enjoy it! approx how many cals in this smoothie? sounds delish. Hi, Julie! I’m honestly not quite sure, but I would estimate around 300ish. I’m loving the website and all the smoothie recipes. However I don’t like bananas so I’m struggling with lots of the recipes. Is there an alternative I can use? Hi, Michele! I am so sorry for taking so long to reply to your question. 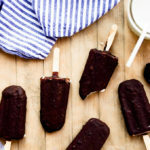 A replacement for banana in this recipe is tricky, but you could try a combination of frozen coconut milk and fresh avocado. It would definitely be much richer but it could serve as a replacement for the banana. You could also add in some ice to cut the richness a bit. I’ll let you know if I think of any other alternatives. Hope this helps! Also, for brighter, lighter, or citrus smoothies, mangoes work well as a substitute to banana. They offer a creaminess and also help thicken. I have made this several times now and am obsessed. It’s a breakfast AND dessert! When I went to the store the first time I could only find a combo bag of raw cacao with maca root in it, so a bit unfortunate to not know the portions exactly, but still worked great for me. I threw in some dark chocolate chips, I think 70%-80% something cacao too… IN.LOVE.